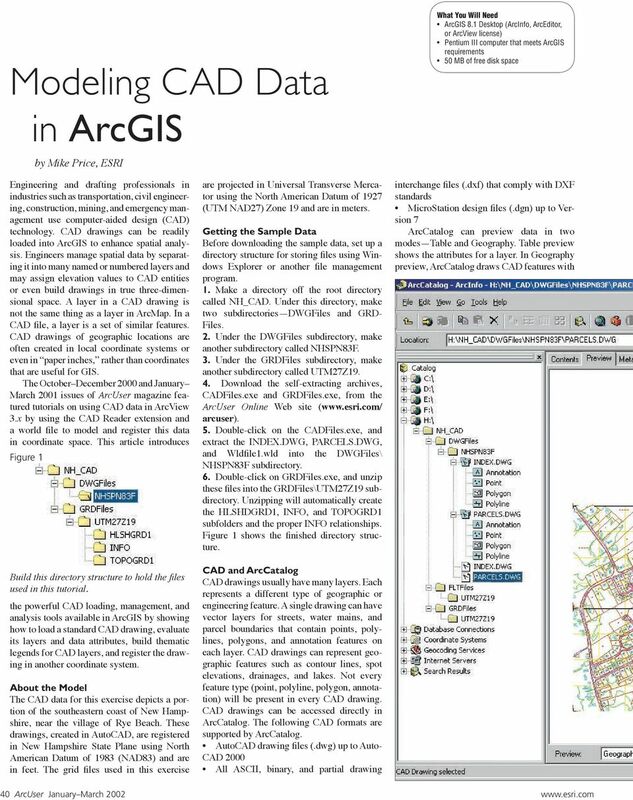 Download "Modeling CAD Data in ArcGIS"
Do It Yourself! Building a network dataset from local agency data. 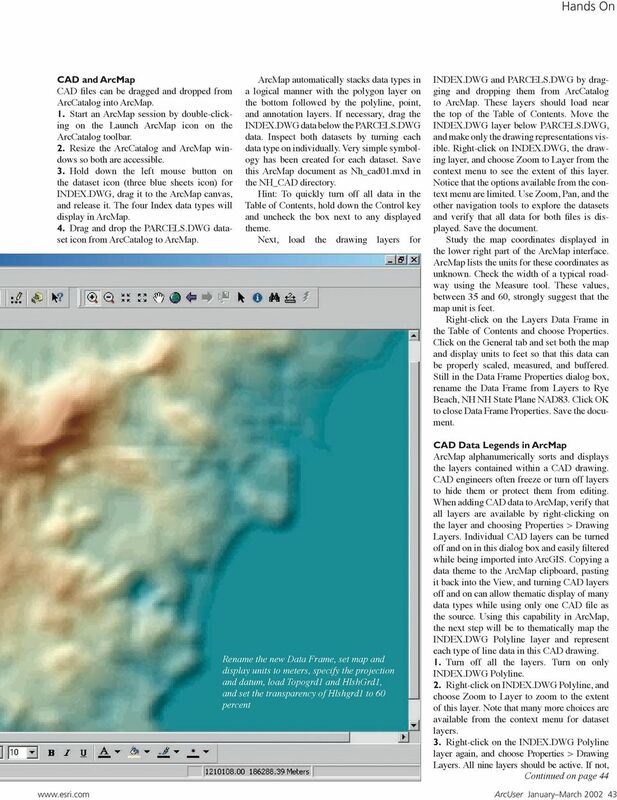 By Mike Price, Entrada/San Juan, Inc.
Geodatabase Tutorial. Copyright 1995-2010 Esri All rights reserved. Create a folder on your network drive called DEM. This is where data for the first part of this lesson will be stored. Activity: Using ArcGIS Explorer Requirements You must have ArcGIS Explorer for this activity. Preparation: Download ArcGIS Explorer. The link below will bring you to the ESRI ArcGIS Explorer download page. 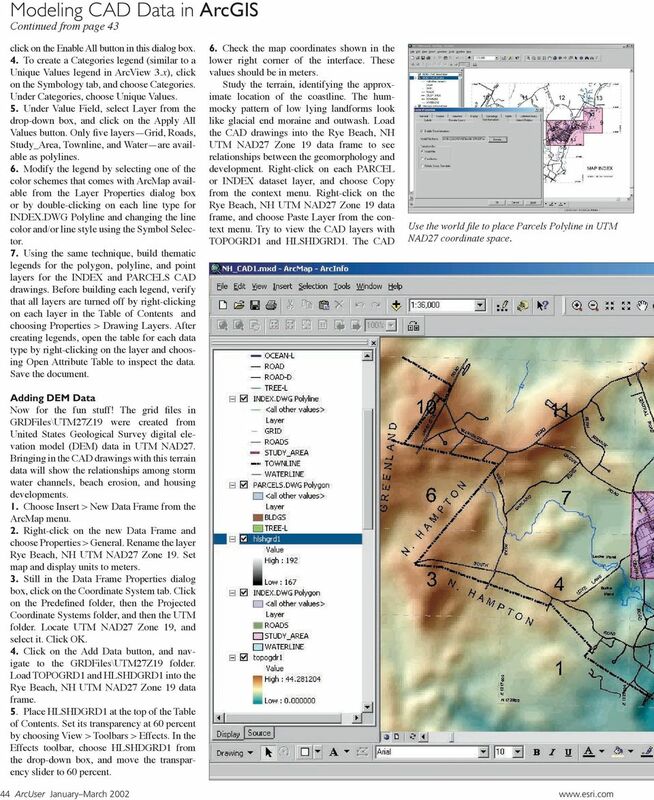 Procedure for Projecting and Transforming American Samoa GIS Data from Stateplane ASD62 to UTM NAD83. Web Editing Tutorial. Copyright 1995-2010 Esri All rights reserved. 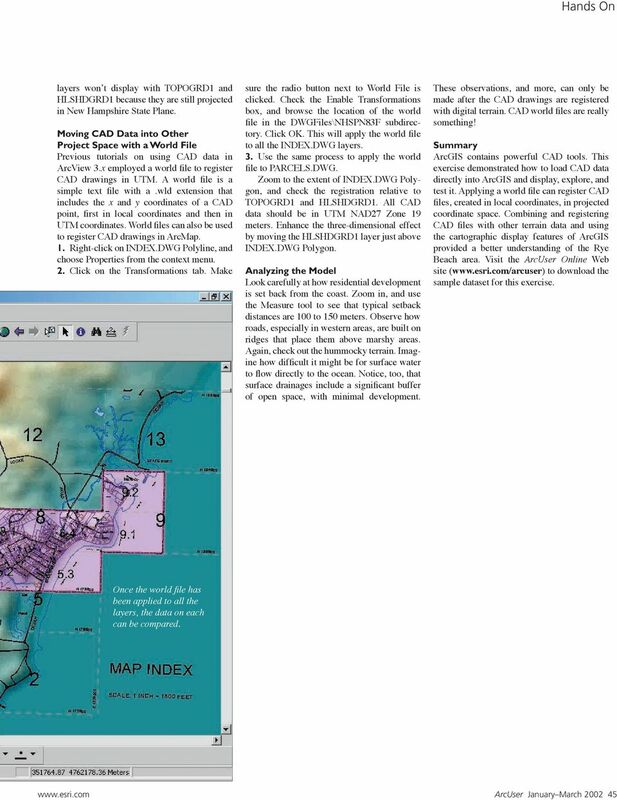 ArcGIS 9 Animation in ArcMap Tutorial Copyright 2005 2008 ESRI All Rights Reserved. Printed in the United States of America. 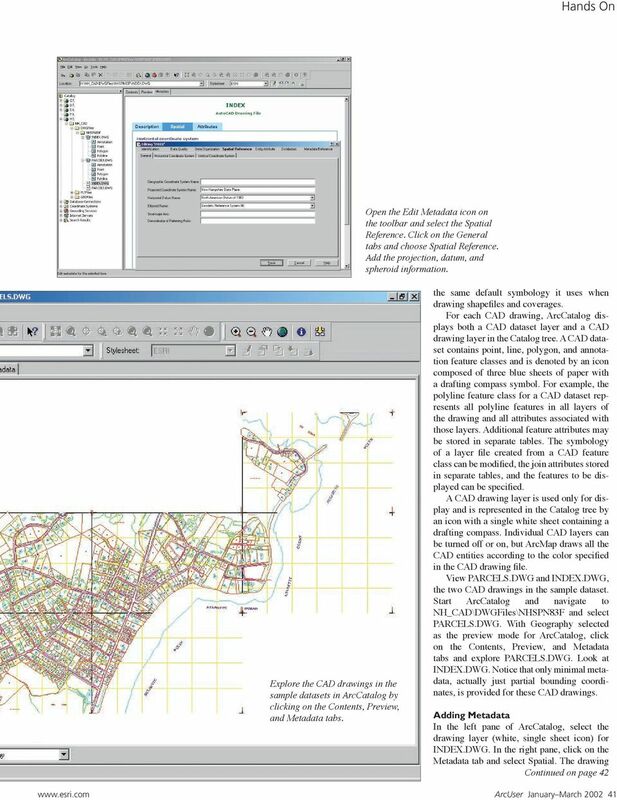 The information contained in this document is the exclusive property of ESRI. ArcScan Tutorial. Copyright 1995-2010 Esri All rights reserved. NetCDF Tutorial. 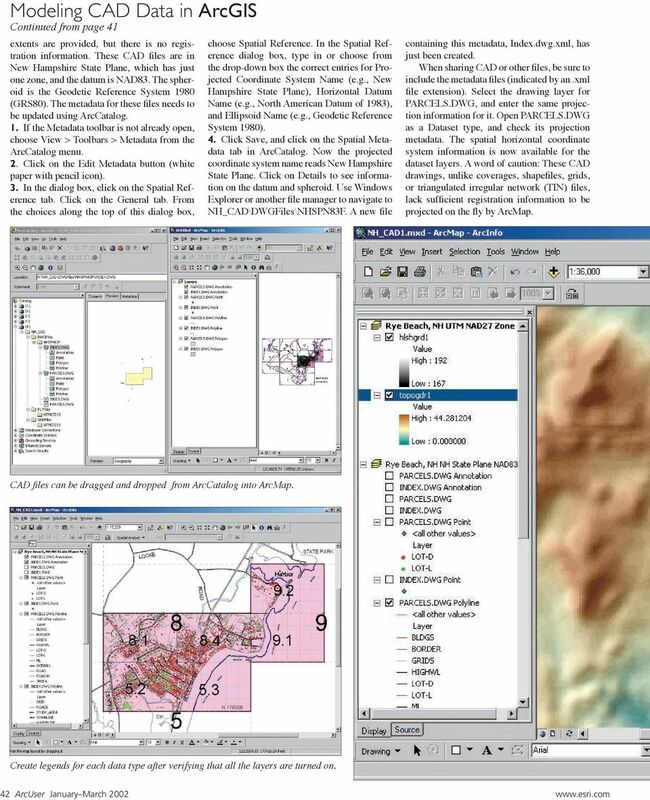 Copyright 1995-2010 Esri All rights reserved. Exercise 1: Basic visualization of LiDAR Digital Elevation Models using ArcGIS Introduction This exercise covers activities associated with basic visualization of LiDAR Digital Elevation Models using ArcGIS.